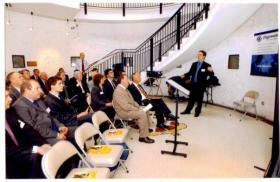 Millmount Tower is an ideal venue for musical recitals, art exhibitions, book launches, or small conferences. Other rooms in the house can also be arranged to provide separate catering facilities or catering can be arranged in the room. External catering facilities can also be arranged in one of many nearby restaurants by request.